Just realised I haven’t blogged any cake pictures for a while, so here are a few I’ve made recently. 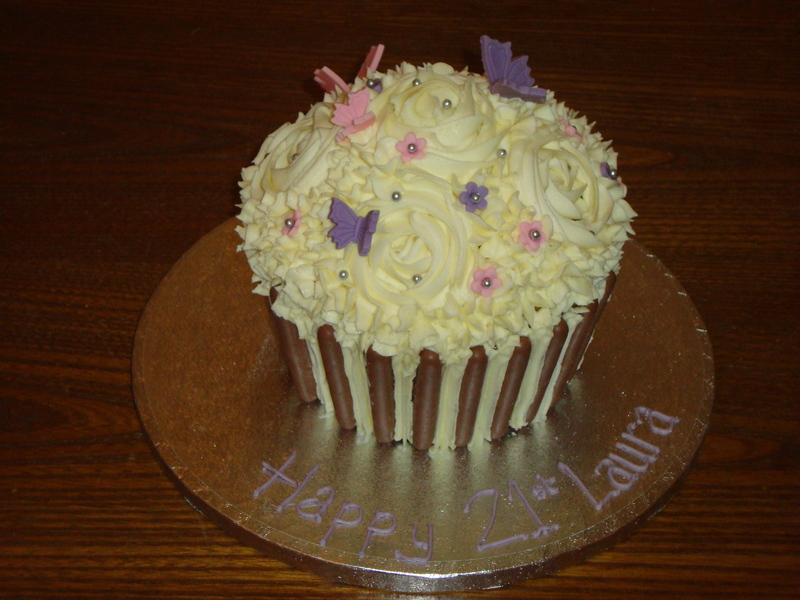 A 21st birthday cake for one of the staff at Faith’s nursery. 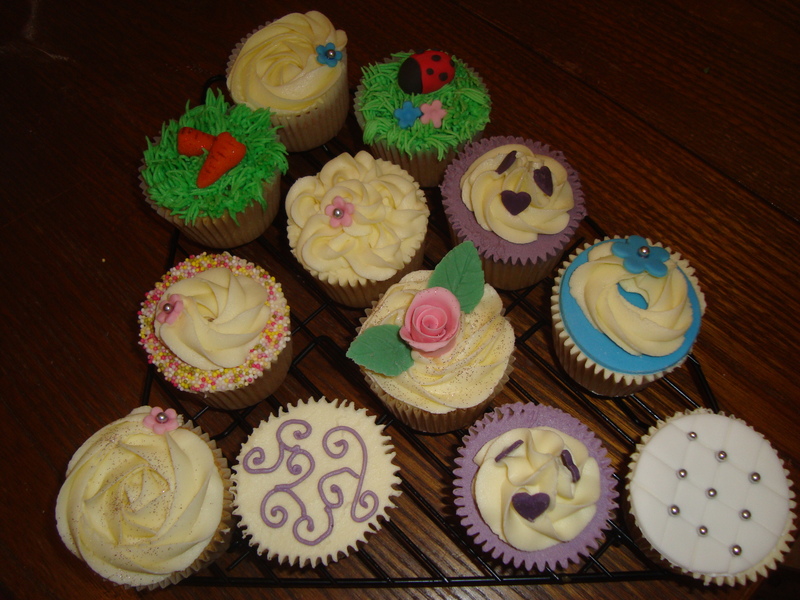 A few cupcakes I iced as a demonstration in one of my cupcake classes. 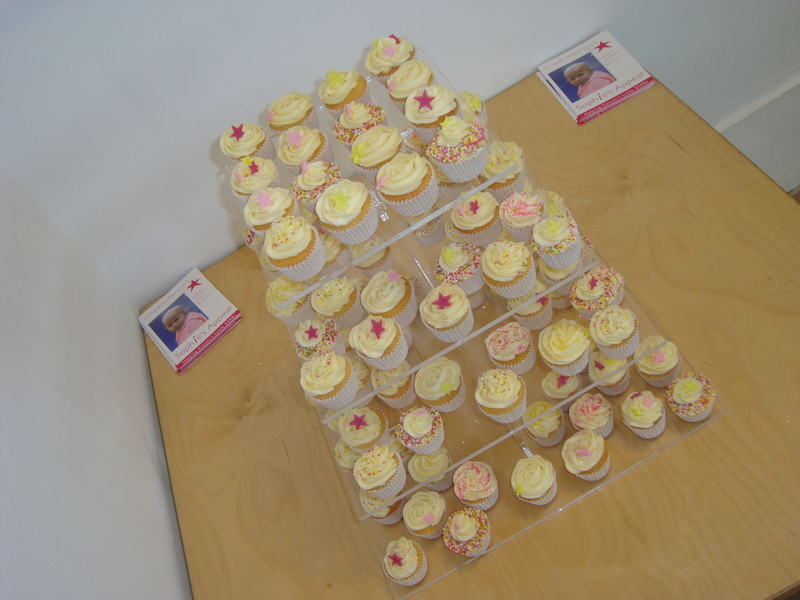 Mini cupcakes tower that I donated to the ‘Revealing Experience of Motherhood’ calendar launch and photo exhibition last week to raise money for Sophie’s Appeal. If you’re thinking of buying a calendar for 2011 please have a look at this one and consider supporting this wonderful charity (and then you get to look at my ugly mug too!). They look fabulous, where do you do your classes? I’ve baked a few cakes this year for kids, hubby & cousin & I now find it quite relaxing & feel quite pleased with myself, I’d like to go a little bit further now. Thanks! I teach the classes in Eastleigh, Hampshire. I am in awe of your piping skills Amy – how do you achieve those perfect looking roses?!! !